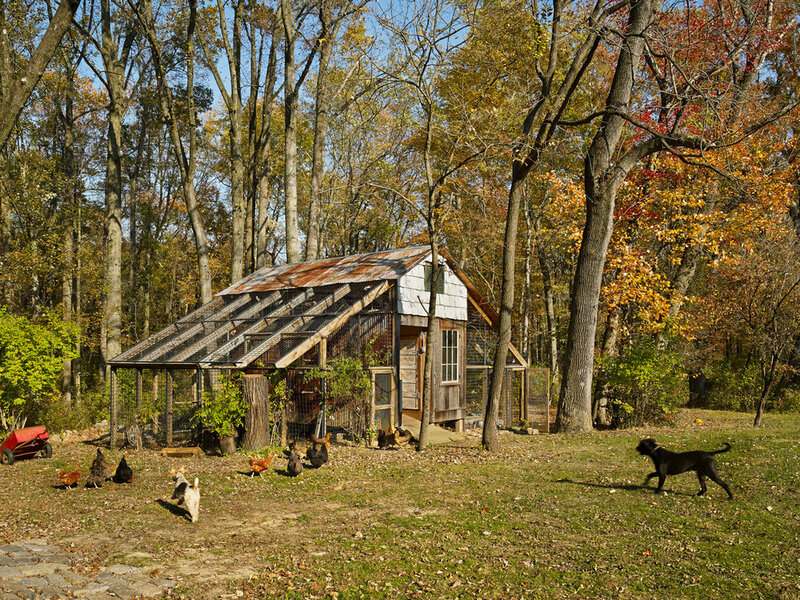 Our client had two requests: demolish an existing garage to make way for a new building, and create a structure to accommodate a large flock of chickens and guinea hens. To kill two birds with one stone, we cut the garage into panels and reassembled it to build a new coop. The fencing is display shelves salvaged from a closing video store. Siding is combination of reclaimed corrugated tin, hemlock and 200+ year old cedar shake.